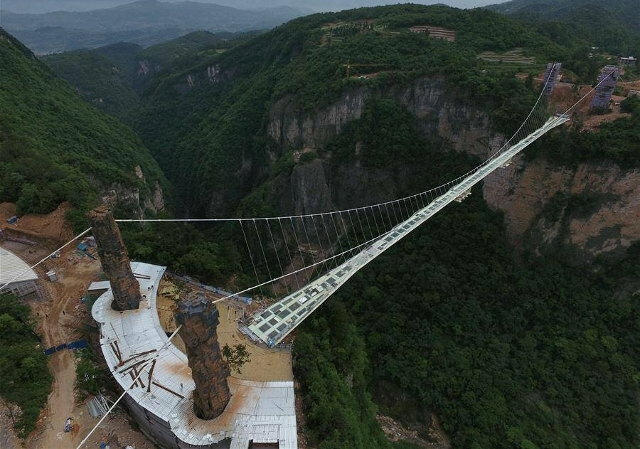 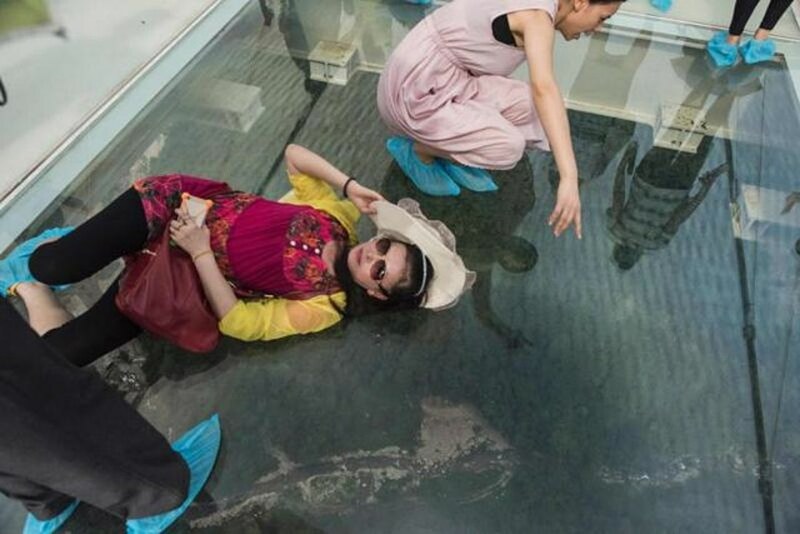 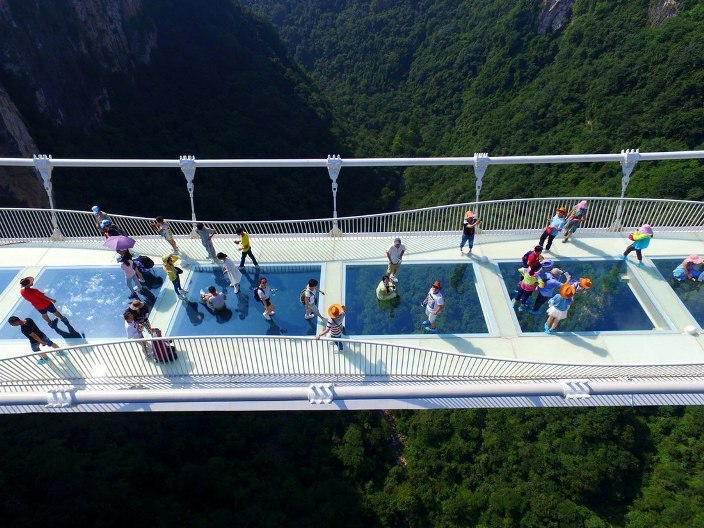 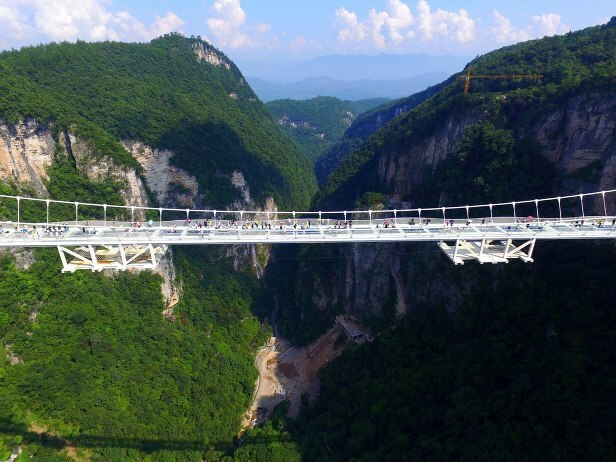 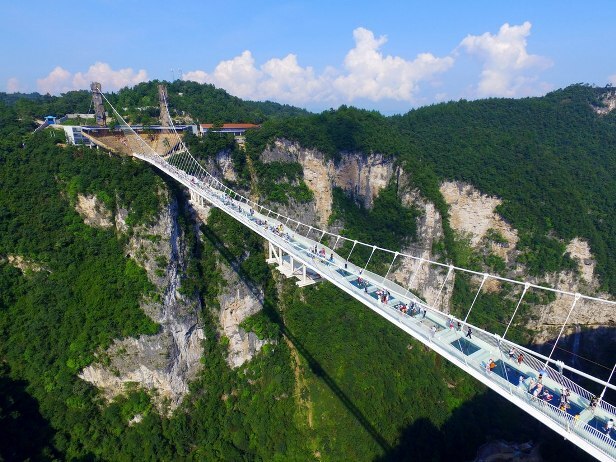 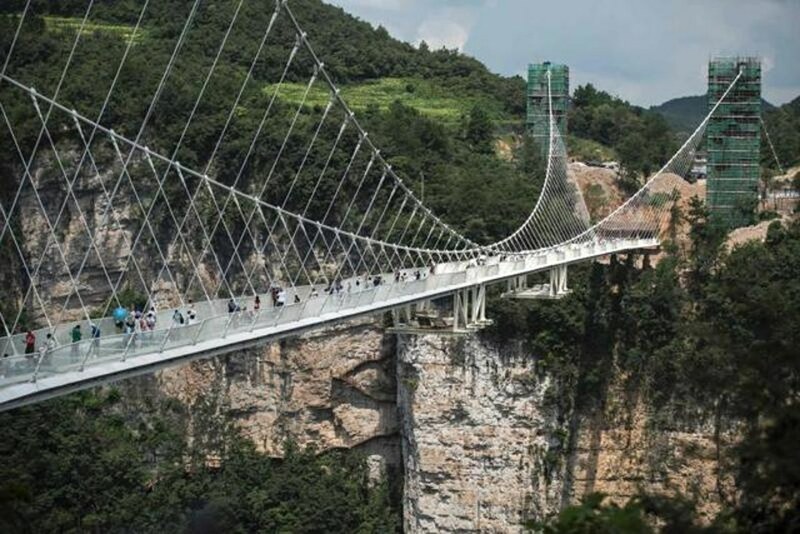 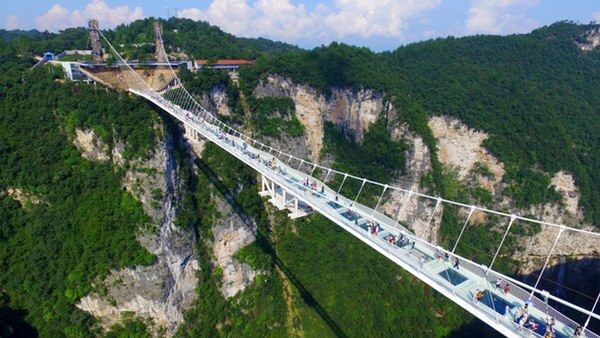 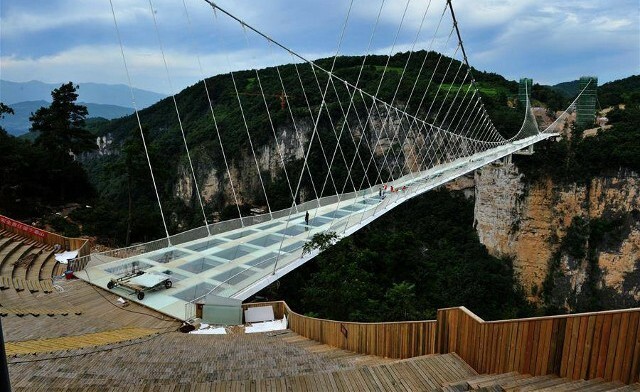 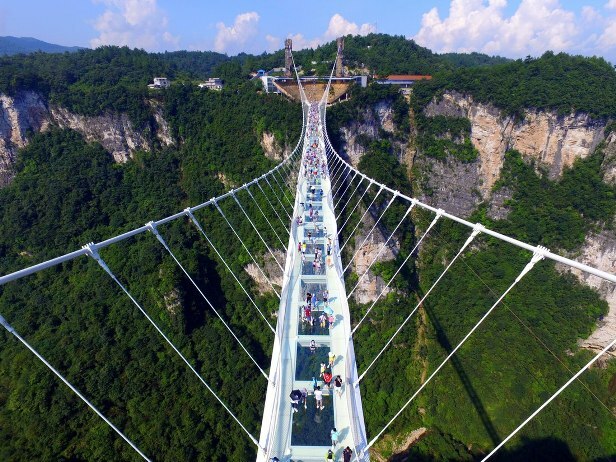 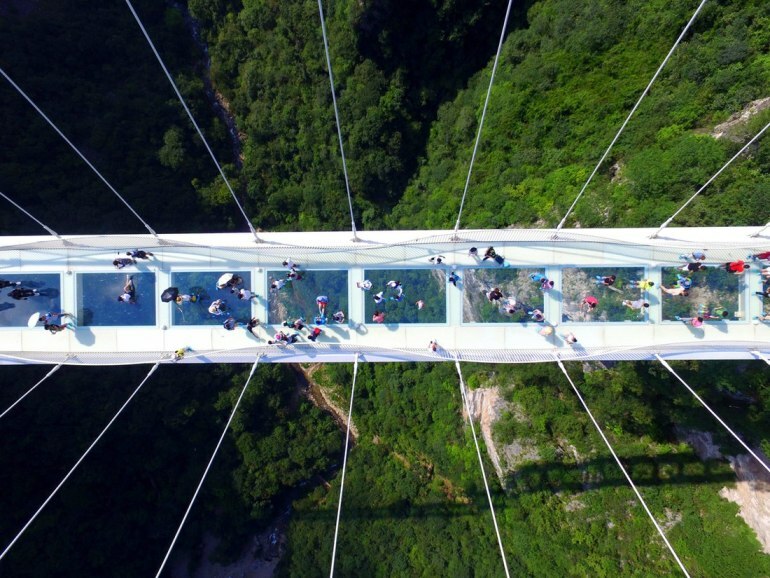 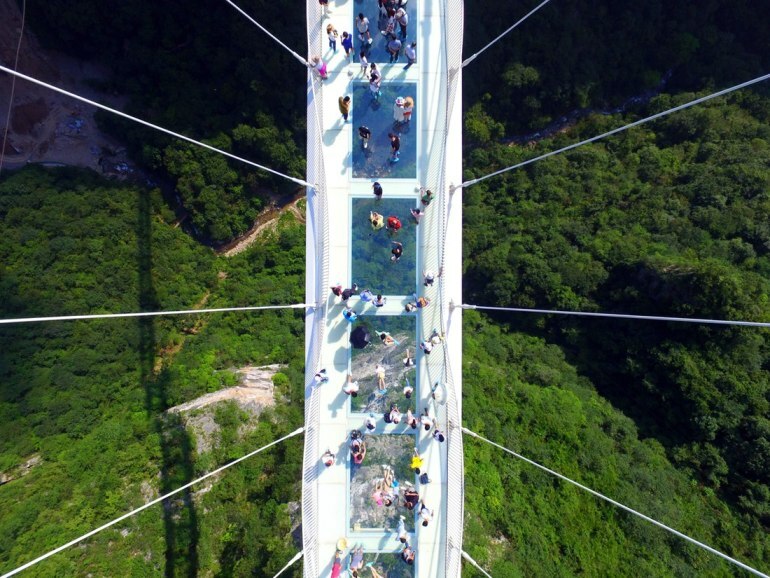 China inaugurates glass-bottomed bridge - The world's longest and highest glass-bottomed bridge opens in Zhangjiajie in southern Chinas Hunan Province. 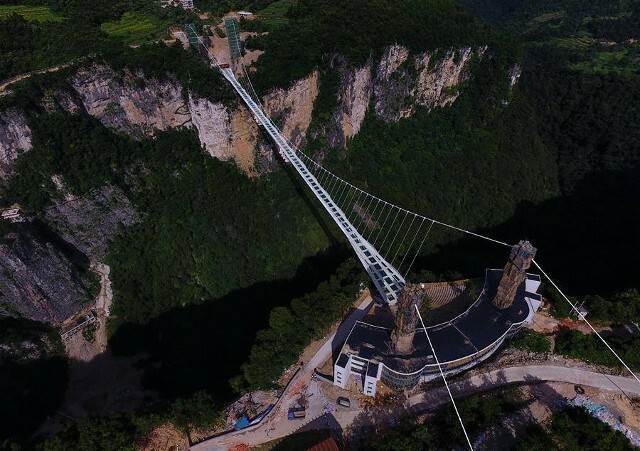 The bridge, which opened to the public on a trial basis, spans 430 meters (1,410 feet) and rises about 300 meters (984 feet) above a valley. 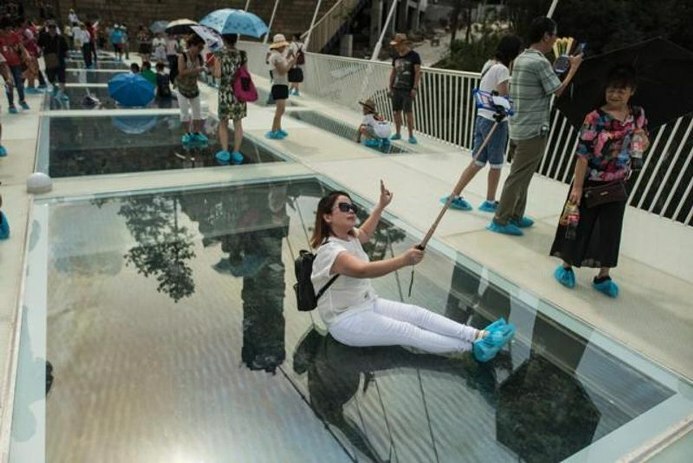 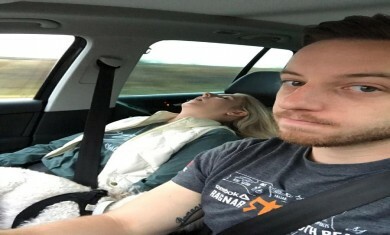 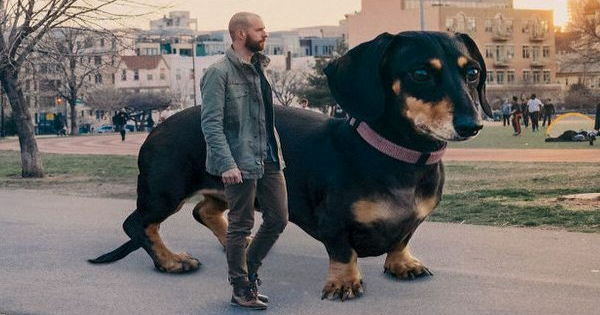 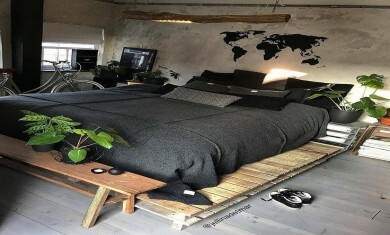 A maximum of 8,000 visitors will be allowed to cross the bridge each day, if you want to be one of those brave souls, you have to book at least a day in advance.